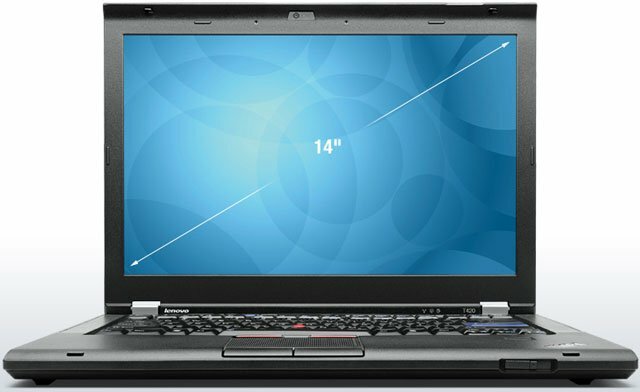 The Lenovo ThinkPad T420 maintains the industry-leading innovation of the ThinkPad notebook portfolio, while incorporating new advanced industry technologies. The ThinkPad T420 features the perfect balance of mobility, manageability, and security the best mix available for any enterprise-class deployment for under 5 lbs. The ThinkPad T420 also provides up to 9 hours of battery life with our base 6-cell battery option. Upgraded 9-cell battery provides up to 15 hours of untethered mobile use. You can even squeeze out a little extra battery life in extreme circumstances using the Battery Stretch feature of Lenovo's Power Manager utility. The ThinkPad T420 projects text, images and video in stark clarity on a 14.1-inch backlit display making it the next best thing to being face-to-face. It also provides an integrated low-light sensitive 720p HD webcam, dual-digital microphone configurations for crystal-clear private and conference mode VoIP meetings, and keyboard noise suppression technology make clear communication a given.